The Warriors completed a sweep in twinbill against Bemidji State University on Wednesday, April 3. In the first game, Winona State University and Bemidji State were in a standstill through the first three innings. Junior outfielder Chad Herbst began with a double and was advanced to third by junior outfielder Andrew Pliner and a sacrifice bunt. Sophomore outfielder Nathan Loomis brought Herbst home with a single giving Winona State a single run lead. Junior shortstop Derek Martin singled to left field and pushed Loomis in for the score. 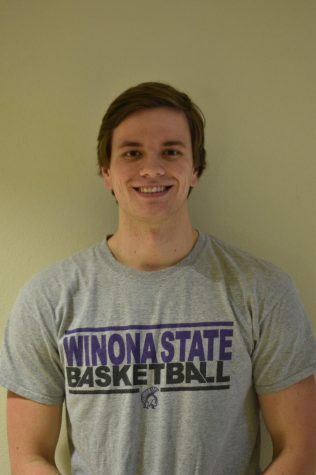 Following that, sophomore infielder Zac Stange came home on an RBI single from sophomore infielder Tanner Williams, giving Winona State a three-run lead over Bemidji. Bemidji State cut down the lead to 3-2 after a two-run homer to right field in the bottom of the fifth. After the fifth inning Winona State’s pitcher, junior Aaron Mutter, retired seven of the next eight batters and gave sophomore Nicolas Herold the save and win. In the second game of the twinbill, the Warriors jumped out of the gate with a five-run lead going into the third inning. Martin scored on a passed ball and junior first base Sam Kohnle brought in Stange from second base. The Warriors did not take their feet off of the gas, making the score 9-0 through the top of the six. Bemidji State tried to bounce back in the bottom of the sixth bringing the score to 9-3, but could not stir up any more scores, giving Winona State the win. Loomis swiped a pair of bags on Wednesday, as five different Warriors combined to steal six bases in the doubleheader sweep. Martin and Herbst both finished the day 4-for-8 at the plate. 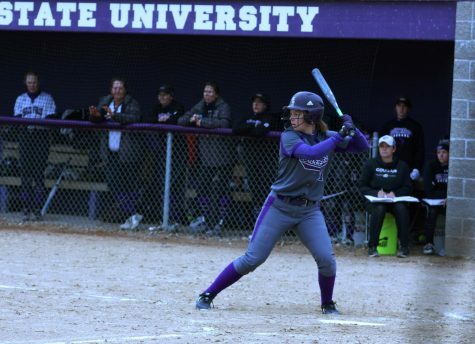 Winona State then moved their attention to a weekend series against the University of Minnesota Duluth on Saturday, April 6 and two games Sunday, April 7. In the first game of the series, the Warriors fell 1-8. The Bulldogs came out in the first, scoring three unanswered runs and five unanswered runs in the second inning. Winona State scored a run in the fourth inning off of a Pliner RBI, which brought in Kohnle. That would be Winona State’s only score making the final score the series opener 8-1 and giving the Bulldogs a 1-0 lead for the series. The second game of the series went different for the Warriors. Sophomore pitcher Austin Savary brought in a season-high four RBI and got the ball rolling for the Warriors. After sparking a four-run inning, the Warriors were neck and neck with Duluth going into the seventh inning with Winona leading 8-6. First-year catcher Derek Baumgartner singled left side and brought Williams in for the score and later first-year catcher Kyle Kosobucki brought in Baumgartner in the seventh. In the eighth inning Williams singled and brought in Kohnle and Savary making the final score 12-6. In the third game on the series, Winona State fell to Duluth 5-9, despite a late game rally from the Warriors. Going into the seventh inning the score was 9-1, the only score for Winona State coming from junior catcher Nick Nalewanski score off of a Martin RBI. In the ninth inning, Winona began to rally back, bringing in four scores. Pliner doubled down the right field line to bring in Baumgartner to push the score to 2-9. Williams singled to right field posting two RBI having first-year outfielder Mitchell Seager and Pliner score. Kohnle singled up the middle bringing Martin home and making the score 5-9. The rally would be cut short making the final 5-9 and giving Duluth their second win in the series. In the last game of the series, Winona State evened up the series, pushing it to a split by winning 8-1. The Warriors started their bulk of runs in the first inning, scoring five runs thanks to a Baumgartner four-run home run that brought in Nalewanski, Kohnle and Williams. In the third inning, Baumgartner was back to his old ways with a single to left field that brought in Savary, bringing the lead to 6-0. University of Minnesota Duluth was only able to put one run up on the game. The game ended 8-1 and the weekend series was split. Winona State baseball will be play again on April 10 at the University of Mary at 1:30 p.m. and 3:30 p.m.